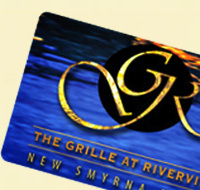 The Grille At Riverview - Award-Winning Food & Wine Unbeatable Views! Award-Winning Food & Wine, Unbeatable Views! Take a visual tour of our unique restaurant. Mother's Day on the Riverfront! Special Occaisions are Better on the Riverfront! The food was excellent. Service superb. Lovely atmosphere. Outside has music, great bar right on the water. It was amazing! We were a party of five, everyone loved what they got! We raved to one another! The view was lovely, watching the sun go down over the river was spectacular. Great place for a special dinner with wonderful friends! Great happy hour all evening on Wednesday, reduced drinks from 4:00 all night, free appetizer, good bar food, good entertainment, great atmosphere right on the river, really nice!!! Sunday Brunch was great. Wide variety. Everyone at our table was pleased. Fabulous view. Great service. We were visiting with friends and relatives and they took us there. There was a 3 piece band and the sun was setting. 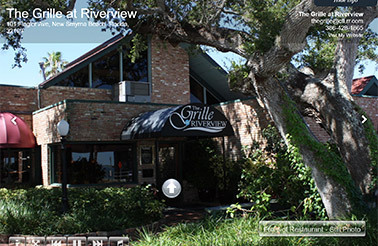 The service was excellent the food very good and the atmosphere was fantastic. Everyone had a great time! Wednesday Night Mixer on the Key West Deck! Select a date to see more details.